“Thanks to Almighty Allah that my son succeeded in the goal he had set to achieve. I pray that his martyrdom is accepted," said Rashid Parray, father of the slain militant Mudasir. Hajin: After looking for his 14-year-old son for nearly three months, Rasheed Parray’s journey to locate him came to a staggering halt when the teenager’s charred body was brought back to his native village amid pro-Pakistan and Lashkar-e-Toiba (LeT) slogans. A picture of his son, Mudasir, holding a AK-47 in one hand and a knife in other, mysteriously surfaced on social media last week after he joined the LeT on August 31 this year. “My wait was over that day, I knew what was to come next and here we are now,” said Parray at his residence in Bandipora’s Hajin area. “Thanks to Almighty Allah that my son succeeded in the goal he had set to achieve. 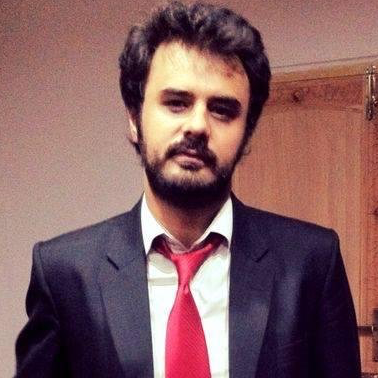 I pray that his martyrdom is accepted,” Parray said. Mudasir had gone missing from a football field in the area on August 31 this year along with his friend, Saqib Bilal (15), known in his village for a cameo role in Bollywood film Haider. They had bonded over football and had been friends for a few months when they disappeared. 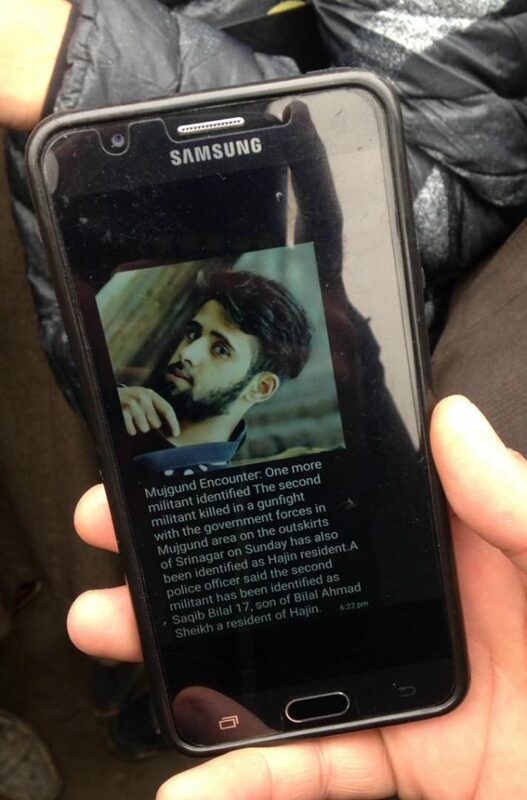 On Sunday, Mudasir, Saqib Bilal and Pakistani militant who went by his nom de guerre Commander Ali Bhai were killed in an 18-hour gunfight in Srinagar’s Mujgund area. 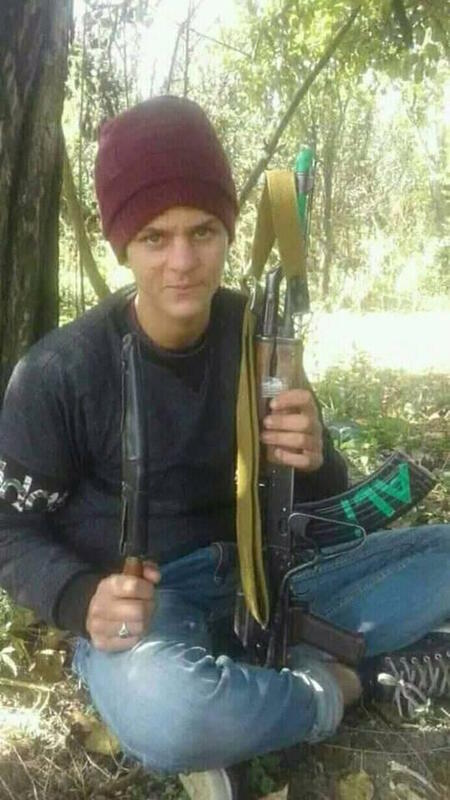 Mudasir Parray, the slain 14-year-old militant. Social media was flooded with photos of the teenagers, some of which were clicked years ago by their families when the two were toddlers. The photos enraged many, who asked why the teenagers were recruited in the first place just as they asked why they were killed. Back in their hometown, some celebrated the ‘bravery of the Hajin teenagers’ while others raised questions on the manner the operation in Mujgund took place. “Despite my protest, he had started to take up daily jobs to support the family. My other son is almost 65% physically challenged, my wife is a homemaker, and I have a daughter who is 10. My only hope now is Allah,” Parray said as he was surrounded by his relatives and neighbours while slogans and smoke from the teargas shelling engulfed the surrounding. At some distance, a relative wailed and singing songs that eulogised the slain teenager. Soon, she fainted. “Mudasir was average at his studies but loved football from his heart. I don’t know when exactly he started romanticising the gun, but there were enough incidents that might have led him to take the decision. On August 31, he had gone to play football in Eidgah when people there saw Saqib walking up to him. They left and never contacted us ever since,” Parray said. “They didn’t tell me he had turned a militant. I came to know a few days ago,” said Mudasir’s grandfather Ghulam Ahmed as he wept inconsolably. According to Hajin residents and Mudasir’s relatives, two events might have led the teenager to join militant ranks in August. “In 2016, Mudasir spent a week in the police station after being detained on charges of stone pelting. But I requested the police to let him go. The police also saw that he was too young. However, after he was released, he never expressed a will to join militancy,” Parray said. An uncle of Mudasir says the killing of three Pakistani militants in the end of August might have given them the final push. “He was young, thus impressionable. The killings had shaken Hajin residents, including Mudasir. Days later, he disappeared without saying anything,” said the uncle. Even though Wajid was a childhood friend of Mudasir’s, the 14-year-old found a comrade in Saqib Bilal. He, according to police, was the second to die in the Mujgund encounter. Saqib also was no stranger to death and destruction. His home is right next to that of Mohammad Yosuf Parray, also known as Kuka Parray. In the mid-90s, the singer-turned-militant surrendered before the Indian security forces and formed the Ikhwan-ul-Muslimoon, a pro-government militia that would soon be synonymous with extortion, kidnappings, tortures and murders. Hajin gained notoriety for being the headquarters of Ikhwaan, and the region’s political landscape changed. Saqib was born a month before Parray was gunned down by militants in his hometown. Saqib, like many of his peers in Hajin, loved football. He was a bright student, having scored 76% in Class 10 finals. He wanted to be become an engineer, his family said, but fate had something else in store for him. A theatre artist, he had won a theatre competition three years ago in Kerala and even appeared in a cameo role in Vishal Bhardwaj’s film Haider, a Bollywood film based on Kashmir. “He was a good student. He didn’t even take a single tuition and had big plans for his future,” said his father Bilal Sheikh, a government employee. “They fought like lions. This is not a mourning, this is a joyous moment,” said Asim Ijaiz, Saqib’s uncle. Saqib joining the LeT, however, did not come out of the blue. His uncle, Nazir, was a militant with the Hizbul Mujahideen and was killed in 1998. Naturally, having a militant relative in Hajin would mean inviting the wrath of Ikhawan, and his family suffered greatly. But by the time Saqib grew up, things had stabilised in the region. Until, of course, militancy began to take roots again. Hajin residents show the photo of Saqib Bilal, the slain 15-year-old militant. This year a number of civilians were killed by militants for being ‘informers’. And with growing popularity of the militant movement, it was not completely unimaginable that Saqib would become a militant. If things were moving slow, the killing of Hizbul Mujahideen militant Abid Hameed Mir in August 2017 had affected Saqib to some extent, according to family members. The tipping point for Saqib, according to many in Hajin, was the August encounter. According to another relative of one of the deceased boys, the teenagers, after joining LeT, stayed in Hajin owing to safe spaces offered to militants in the region. 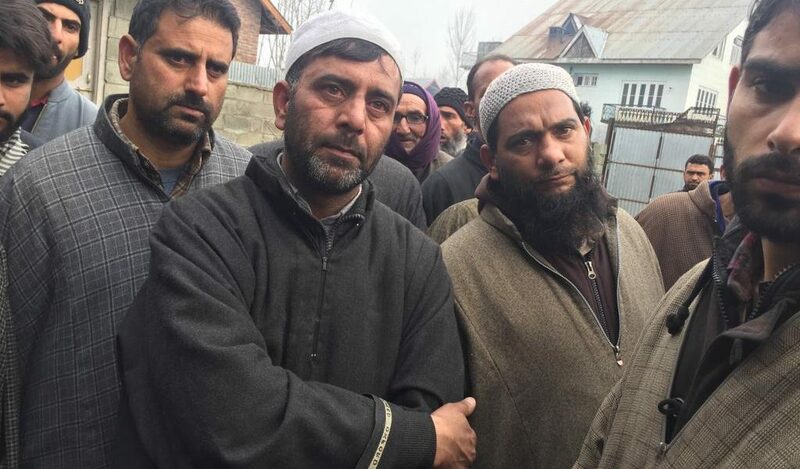 Residents here told The Wire that Ali and Mudasir only left Hajin for Saqib, who was suffering from jaundice from the past few days. “The plan, we hear, was to take Saqib to district hospital, but they had to move forward to Mujgund due to a cordon in the area. On the way, they encountered a checkpost near Mujgund, and that is where the showdown began,” said the relative. The police and the CRPF maintained that the operation was carried out based on a specific input about the militants’ presence in the area. Government officials, speaking to The Wire, said both the teenagers were killed within the first few hours of the encounter and it was “Commander Ali Bhai” who engaged the forces for 18 hours. But that hardly matters to Hajin residents. The mood in Hajin, a former Ikhwan bastion, is of anger, remorse and, importantly, of revenge. Soon after the duo was buried in the Martyrs’ graveyard, violent clashes broke out between the army and protesting locals. Throughout the day, government forces rained teargas shells in the area while protestors hurled rocks at the forces.